Reagan has had a great day today. She's in a smiley happy mood, we knew it would be a great day for horse back riding. She has had a lot more tone today, so that worked in her favor for sitting up tall while riding. She did get tired at times and start to lean, but her instructor would make her work for it to sit back up! She'd also let her fall at times (and catch her) to let her feel the need to support herself. She had a great session and was smiles the whole time! The rest of the day she just took it easy. Came home, washed all of the horse hair off, and lounged around. Her nurse did make another discovery tonight. She was brushing her teeth and her first molar on the right bottom was loose and then just fell out! What is going on?!?! The top one doesn't seem loose but who knows. Crazy! Hoping for continued good days as Grandma comes in tomorrow. It's been a while and I'm sure both kiddos will be thrilled to see her. So, way sooner than we had hoped, Reagan ended up having another bad day on Sunday. So that was only 4 good days between bad days. Not good. Thankfully by Monday she was better. Still a little tense in the morning, but better (but a little kooky) by the afternoon. She even tolerated school/vision therapy. Today was similar to yesterday. Kooky and vocal but good. We did have a surprise finding today. When she woke up this morning there were some pink spots near the head of the bed. When her nurse was brushing her teeth, she found some blood on the brush. Turns out my girl lost TWO teeth last night! Her first molars top and bottom on the left side! Talk about crazy, we didn't even know they were loose! It doesn't seem to be bothering her but she has been really trying to chew on those hands. We're doing our best to keep them out. Don't want to hurt those sore gums. Hoping she's good tomorrow. It will be here second session of horseback riding. At least it's supposed to be better weather. Warmer and not raining. Ha! This is why I should post on a daily basis (so I'm posting about good days as well). Here I am, less than a week later, already posting about a bad day again. Ugh. Reagan had a good weekend. Super sweet and darling. She was darling yesterday too, but a little sensitive (esp in her eyes). She had a seizure with eye fluttering in the am. She definitely seemed a little more tense by the afternoon. Thankfully she slept well (she hasn't really been sleeping soundly lately) but then she just kept sleeping. At that point we began to get a little worried, since that's exactly what happened last week. She woke up around noon and no surprise, she was crying. She's been pretty miserable today. A little less screaming crying and more moany crying. Very sad. Poor sweet girl. She's been sleeping with medication, but it doesn't last nearly as long as it should (she wakes up crying within 1.5-2hrs after each dose). Really hoping she can sleep it off tonight and wake up tomorrow feeling better. Please keep her in your prayers. Here we go again with another weekly update. Last week ended on a sour note with a bad day on Friday. Thankfully she was much improved for the weekend but not without some damage. That little thumb that had a crack on it earlier in the week had healed only to get a bite on her bad day. So needless to say, she's had an arm restraint most of the time since then. Poor hand. It heals up only to be assaulted once again. Reagan has had a good week. She had speech Monday and today and did really well. On Monday when her therapist was done she went to the main menu of her igaze and asked her if she wanted to tell her anything. Reagan went to manners and told her thank you and good bye (using her eyes)!!! What a smart/sweet girl!! She had OT yesterday, she's been kinda flopsy mopsy for the last several days so it wasn't her best session but she was good. 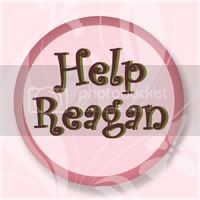 Reagan's nurse mentioned yesterday how low tone she seemed and was worried that it might be the calm before the storm. Well she was right. Last night Reagan escalated and went from content and giggly on the floor to laughing and flailing and having a very stressed look on her face.We were able to get her to sleep but we were definitely worried what today might hold. She's actually slept most of the day today but something is definitely off/bothering her. She was awake from 10-11 today and did OK with speech, but then promptly fell back to sleep. Even in her sleep though she was fussing and very restless. She did wake several more times today and was a bit more irritable/crying. Thankfully she would doze back off with medication. Hoping she can sleep the bad away. Sweet girl. I sure hope this is short lived! She just had a bad day last Friday...this is WAY too soon for another. Ugh. We did go to Ryan's Valentines class party today. He had a good day! So this post will be a weekly update of sorts. Reagan's weekend was good and she's had a nice week as well! She was a little more vocal/kooky at the beginning of the week but she's definitely mellowed out in the last two days or so. Now she's more just precious! Super smiley and cooing away. Such a darling girl! Our nurse called out yesterday and today, so that's added some stress, but we've managed to juggle everything around and get a few hours covered so we wouldn't have to miss any appts. Reagan did have a seizure on Monday...I had just been thinking it had been a while since we had seen one. There was nothing that would've predicted it, it was quite unexpected, but thankfully it was a short maybe 30sec one and then she was back to normal. We still don't have her horseback riding (hippotherapy) up and running just yet, but that should happen next week or the following week. The weather has been quite yuck, cold and rainy, lately so it's not like it would've been the best horse back riding weather anyway! 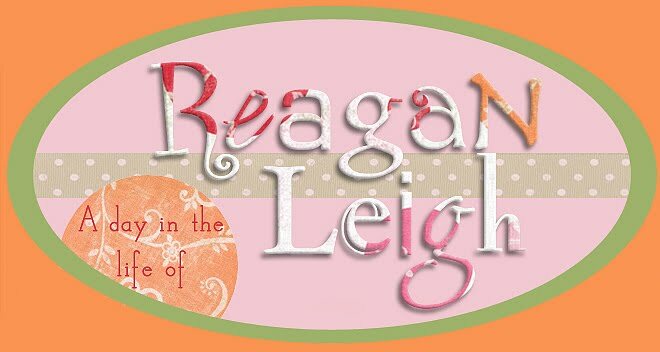 As the day has gone on today, Reagan has gotten increasingly tense in her body. She's holding her pees, having temperature dysregulation issues (cold/clammy hands, feet, and legs), and even the one red ear! She's still pretty content...she just seems a little off. More quiet and sensitive. Tonight she had a huge startle that then seemed to trigger a seizure with a head turn and eye blinking. Ugh. I thought we were seeing less of those. Hopefully she can continue having good days. Sweet girl. No nurse but a precious girl! Our day started with a 6am call from the nursing agency. Never a good sign. Our nurse, who was actually supposed to stay late tonight because Ryan has a birthday party to attend, called in sick. UGH. So this led to me having to cancel my 2-3hr appt with Reagan's MDCP case worker (because obviously I can't answer nonstop medical questions while attending to Reagan's needs all morning), I never made it to the grocery store (I had a list a mile long), my dad (God bless him) had to go pick up Ryan, and Mike had to come home early from work so I could take Ryan to his bday party!!! What a mess. On the upside, I got to spend the entire day with a ridiculously wonderful super sweet super calm and relaxed little girl!!! Just cooing and laughing...so so SO precious!!! Reagan had a good day today. She's still pretty congested. Her nurse gave her saline and suctioned out her nose a few times today. She's been in a good mood though. She had OT this afternoon. She did well for that. We discussed new goals (it's almost that time again). Every time we have to resubmit, it always makes me nervous. Her OT is a pro though and does the best job possible in explaining everything and why we need to continue at her current 2x a week. I do know, the older they get, the more insurance just wants to give up on them, so the harder the fight. But we will continue to fight the good fight for our girl. She deserves nothing less.